Find here Hotels Viva coupons and deals. 7 amazing hotels and resorts in the bustling islands of Mallorca and Minorca (Spain), 2 of the most popular tourist destinations in the last years. All of the Viva hotels and resorts offer facilities and are located is some of the most spectacular sites of these islands, always near the beach. 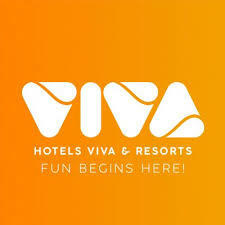 The brand Hotels Viva has targeted on families and sport. Specifically, Triathlon athletes will find First Class facilities for training and relax at Hotels Viva. The brand Vanity Hotels, offering 3 amazing and upscale Adults Only (+18) hotels in Mallorca and Minorca. This brand has been created to offer a new concept of accommodation for adults who look for and relaxing holiday. Beautiful and unique Country Hotel located at the very east-end of the island of Mallorca. The Son Jaumell Hotel: A beacon of peace and just a few miles away from the lively Cala Ratjada. All properties are 4 stars and are located in 2 of the most popular European tourist destinations.